ESN are experienced at new commercial installations and commercial electrical service, repair, maintenance, lighting and power systems. We have developed long term relationships with many local and national businesses and our team of electricians are on call 24/7 for our priority commercial customers. ESN have provided electrical service & maintenance for Farmers department store in Whangarei since 2003. ESN are the preferred electricians for LJ Hookers property management division in Whangarei. 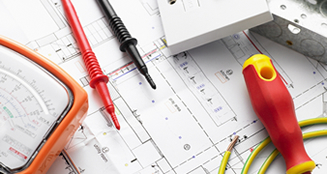 We carry out electrical maintenance and repairs on their sizeable portfolio of managed rental properties. If you're unsure about the safety of the electrical systems in your home, commercial building, boat or caravan, contact ESN for peace of mind. Discreet and effective data cabling in your office by experienced professionals.